Zenaida's work analyses future pathways for the UK energy system and how these relate to the use of land and water resources, and associated emissions. 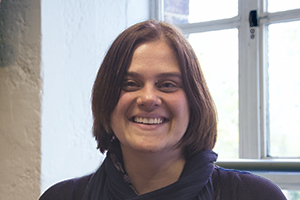 She is one of a group of researchers working on the wholeSEM project to analyse wider system impacts of energy systems and material production in the UK. Zenaida is currently working on an extension of this work to include implications for air quality and human health. Zenaida holds a Licentiate degree in Chemistry and a Ph.D. in Theoretical Chemistry (2011) from the University of Porto in Portugal. She joined the Engineering Department at the University of Porto in 2011, where she worked as a Post-Doc researcher, having also completed an Executive Masters in Sustainable Energy Systems in 2012 from the same institution. Zenaida joined the Use Less group at University of Cambridge in December 2013 to work as a Research Associate on the wholeSEM project.